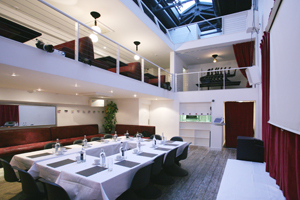 London venue The Brickhouse is opening up to the corporate events market at the start of 2010. The property is located in the heart of Brick Lane in the Old Truman Brewery building, and offers a capacity for 300 delegates. The event space is split over three levels and is designed to host live entertainment and performances, which can be seen from each floor. The Brickhouse's offer includes the Bed Bar, a lounge area featuring beds for guests to relax, socialise or dance on. The venue has previously hosted events for corporate clients such as Habitat and stockbrokers Execution but plans to target the corporate sector more aggressively next year. C&I, C&IT, meetings, incentives, conferences, events, event planner, event agency, event ideas, venues, accommodation, MICE, M&I,, London venue, The Brickhouse , corporate event market, Brick Lane , Old Truman Brewery building, event space , live entertainment , performances, Bed Bar, Corporate clients , Habitat , stockbrokers, Execution.